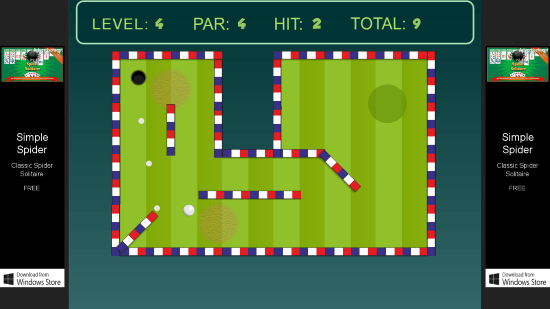 Mini Golf Master is a free Arcade Game For Windows 8 and 8.1 computers. Developed by Home Limited, this game lets you play Mini Golf. virtually. 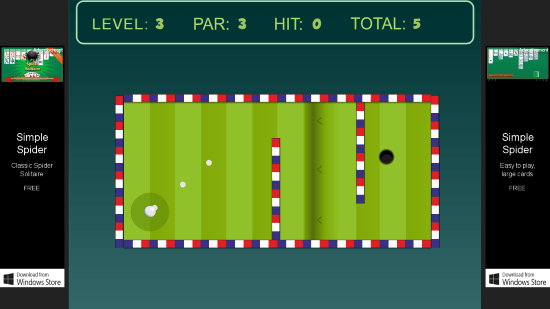 Play mini golf on different fields with different obstacles. The fields are set with various frames. You have to shoot the ball around obstacles like: walls, mud, and slope. Make the ball reach the hole through the fields. This game has very basic graphic and sound effects, but it is an addictive arcade game for Windows 8. This arcade game for Windows 8 is a very light, and installs instantly. With a size of 946 KB, this game barely occupies any space on your computer. You can easily find it on Windows App Store. Simply go to the Windows App store, and search for the game in the search box. You can also follow the download link mentioned below. Click install to download and install this game automatically. Gameplay of this free arcade game for Windows is pretty simple. You have to click on the ball, and drag the mouse in opposite to the direction of the shot. A mark appears, which shows the power level, and the direction of the shot. The more you drag the mouse, more powerful the shot will be. Aim for the hole, and make the ball reach the target. The first level has no obstacles, while the later levels come with complex obstacles. You have to hit the ball through the field in such a way, that the ball reaches the hall as soon as possible. This arcade game for Windows 8 also has other obstacles, like sand, which slows down the moving ball. You will also find slopes, which will slow down the ball, and change its direction as well. Once a level is over, the level number, along with PAR, HITS, and Total score is displayed. You can retry the same level to score more. Click Next to move to the next level. 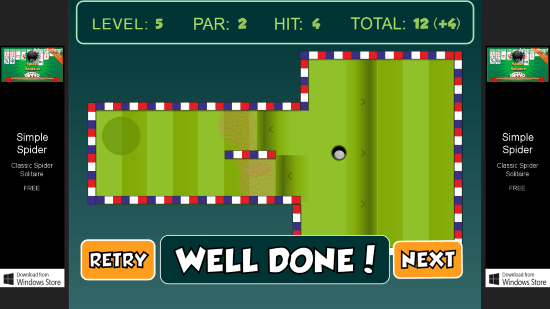 This golf game has numerous levels, and the levels get tougher as you move forward. This is a simple, yet addictive arcade game for Windows 8. The levels are difficult, but the gameplay maxes you stick to the game. With a really small size, this is a must have game for your Windows 8 computers. 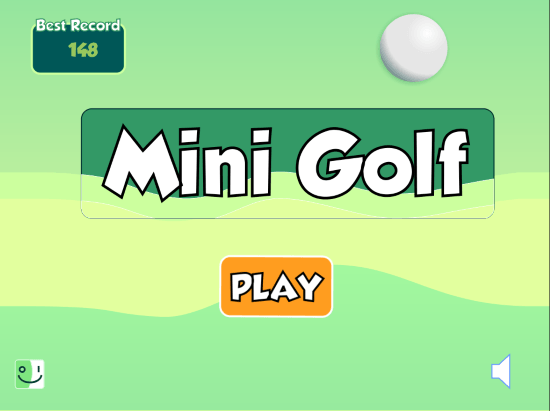 Download Mini Golf Master for Windows and 8.1 computers.